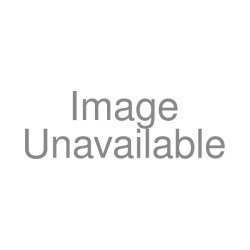 Read and compare owner reviews & ratings of Vee Rubber VRM-401 V-Grip Adventure Tire. Product specs, photos & video, pricing, and more! The Continental TKC-80 is seen as the "gold standard" big adventure bike tire for those of us who prefer dirt over pavement. This type of tire may not grip the pavement as well as some tires (Anakee 3), grip the dirt as well as others (Mitas E09 Dakar) or last as long as other tires (Heidenau K60) but it does all of those things pretty well. 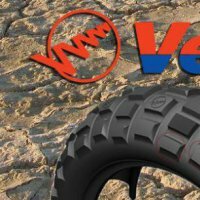 Might this new tire from Vee Rubber, the VRM401 V Grip, be the one to unseat the much vaunted TKC-80? I say yes! First of all, this tire just looks as if they took a TKC-80 and thought "how can we make this better?" This is a standard block style knobby just like the TKC-80, Kenda Big Block or Karoo 2. The rubber is very grippy. The clean out spaces are ample and the alternating rows of faceted blocks appears to be some kind of attempt at perhaps mitigating road noise. The knurling is cosmetic and comes off the first 100 miles as does eventually their logo on the knobs. As good as the TKC-80 supposedly is, the main complaints with it have been tread life and weaker sidewalls. 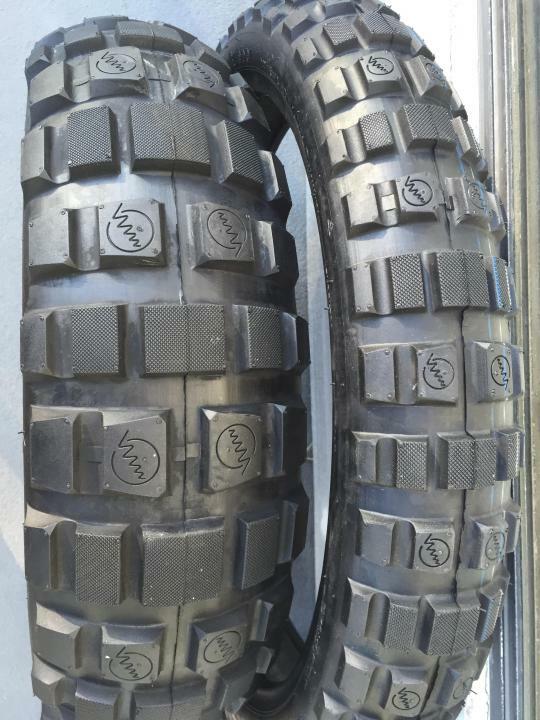 The VRM401's stronger sidewall isn't going to rip and tear as often, will run flat a bit safer, are less likely to come off the rim when flat and the lack of excessive flexing is less likely to cause an inner tube (non-heavy duty) to fail (DAMHIK). This is the kind of tire I'd want for a specific off-road trip where traction is very important and may even include some wet conditions, like 5-7 days in Baja, a BDR or something similar. The front is amazing and I like it much better than the TKC-80 21" front, mostly because its crown is rounder and that means better pavement and dirt cornering confidence. Installation/Removal: I did have some trouble getting the front 21" to seat and had to inflate to something like 90 psi but I also have brand new Woody's Wheels and did not use the standard lube I typically use. I also had a heck of a time breaking the bead on the rear but again, I think that's due to not lubing the dish of the rim upon mounting. Bottom line: A great off-road knobby for the dirt enthusiast who wants the traction and doesn't mind the lower tread life. Slightly less tread life than the TKC-80 but wins overall with even better off-road traction and clean-out as well as stiffer sidewalls (safety). Has the traction of a Kenda Big Block but even more tread life. Pro's: Grippy on the pavement. Very good clean out and off-road traction. Front (21" tested) is vastly superior. After hearing Eric describe his preliminary feelings about this tire at the GS Giants CA Rally in September, I decided to try them out on my 2014 KTM 690 Enduro. I had them mounted just in time for the RawHyde California Adventure Rally Nov 12-15th. I was coming off a set of well appreciated TKC80's (tube type) in sizes 140-80-18 (rear) and 90-90-21 (front). After about 50 miles the tires were very responsive and smooth when transitioning from straight to turns on pavement. On the highway (65-80+) the tires were a little smoother than the TKC. Above 80 I would often get a little head shake from the TKC but with the Vee, much smoother. This could be the difference in balance between the tires, but the Vee inspired greater confidence. Over the course of the weekend, the tires were subjected to sharp rocks, rounded rocks, ruts, roots, gravel, sand, packed dirt, … Everything Death Valley offers. I found that the Vee Rbber 401 hooked up better than my TKC 80s (front and rear) (although not as precise as the Pirelli Scorpion Rally - but more comfortable). I achieved greater speeds with more confidence and less pucker. I was running the tires at the same pressure I ran my TKC80s — 25psi F&R, with UHD tubes. Dynamically, performance, … a real winner. HOWEVER, I am not sure of the wear. Here are the Before and After pics, the KTM as loaded and some basic trip stats. Also, I am 5'10" and 170# in street clothes. The roads were I-5, i-14, Randsberg to RedRock, Trona, CA-190, Titus Canyon, a bunch of DV dirt, gravel and rock trails. Estimating 150 mi off-road and 570 mi pavement (many twisties). I am not sure if the tires wear fast at first to find their profile and then the wear slows? They seemed to wear faster than any tire I've ever used. Not sure and will keep an eye on them. Love the tire (achieved personal bests with it), not sure of the wear. Nice review. I've been through 6 rears now. They have lasted anywhere between 600 miles after a harsh beating in allot of rocks and gravel to 2600 miles. The Mrs has 2600 on her rear on a bmw g650gs and there's another 1000 left on it. Cold weather and rain can make these natural rubber tires a little slick. These tires take a ton of abuse. Much much more abuse than a tkc 80 in gravel and small rocks. Also a neat trick is power sliding these leaned over. Tight first and second gear turns with abrupt throttle inputs will lay black strips down on the tarmac with a little back end slide. Try not to high side yourself.